Our mission is to provide customers with reliable, efficient and safe cooling solutions for high-powered electronics. Dave Santoleri and Steven Schon founded QuantaCool to provide environmentally low-impact cooling solutions for high-intensity electronics applications. QuantaCool’s PolarBox™, PolarRak™ and PolarMax™ systems use patented microchannel heat pipe (MHPTM) technology to transfer large quantities of heat from its source without using pumps to an environmentally safe coolant that does not contain water. These systems improve the operation of electronic equipment, reduce energy consumption, decrease costs and lessen environmental impact. QuantaCool is a member of the Center for Energy-Smart Electronic Systems (ES2), a research consortium sponsored by the National Science Foundation and jointly run by the State University of New York at Binghamton, Villanova University and the University of Texas at Arlington. ES2 partners with government, industry and academia to develop methods to efficiently operate electronic systems. David Santoleri is co-founder and President of QuantaCool Corporation. Dave worked with DuPont for 18 years in product development, manufacturing management, business startup, business team leadership and sales development roles. In 1997, he was a partner in the purchase of a $20 million thermoplastic rubber business from DuPont, which was later sold to the Ferro Corporation, where Dave served as global business manager and national sales manager for Ferro’s $250 million plastics division. In 2005, Dave helped to raise capital and create NurseBank America, LLC, a non-medical companion care business that serves the greater Philadelphia area. In addition, he serves as vice president of Tomark Industries Inc., which creates and supplies materials to the global photovoltaic energy market. Dave also is a vice president for the Family Life Educational Foundation, a non-profit organization in the Philadelphia area. He also serves on the board of directors of Amigos de Jesus, an orphanage for homeless boys in Honduras. Steven Schon is co-founder and CTO of QuantaCool, and inventor of its patented MHP™ cooling technology. An accomplished chemical engineer with degrees from Columbia and Drexel University, he holds 15 patents with several additional patents pending, and is a recipient of R&D Magazine’s “R&D 100” award. Steven has worked in R&D, business and manufacturing for more than 30 years. A registered professional engineer, Steven serves as an adjunct professor at Drexel University’s Department of Chemical & Biological Engineering, and as Research Fellow at Villanova University’s Department of Mechanical Engineering. Dr. Alfonso Ortega is James R. Birle Professor of Energy Technology in the Department of Mechanical Engineering at Villanova University. where he teaches the science and design of thermal systems. 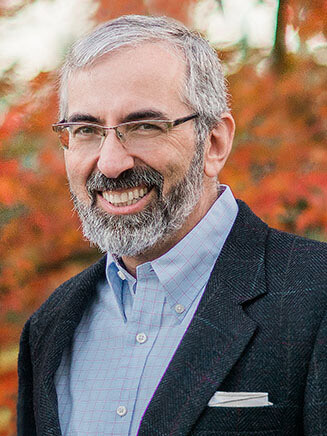 Prior to his current position, Dr. Ortega was Dean of Engineering at Santa Clara University, Prior to that he was Associate Vice President for Research and Graduate Programs and in the College of Engineering at Villanova. Mr. Buck is the Northeast Regional Sales Manager for Symantec. He has over 30 years experience in the IT industry,. and currently manages a sales team calling on major data centers in the Northeastern United States. Mr. Hodge is Managing partner at DES Recruitment. He has over 20 years of experience in management consulting, business development and executive search. Mr. Lopez is Vice President and Entrepreneur Program Manager at the Uncommon Individual Foundation, where he is responsible for UIF’s entrepreneurial mentoring program. Mr. Whalon is the Architecture – Technology Service Leader for SEI. He has over 30 years experience managing product development teams for the IT servised industry. Mr. Harmon currently servers as Enterprise Product Reviewer for ServeTheHome.com. Previously, he was a product reviewer for TweakTown.com. Mr. Harmon is an expert in the area of over-clocking for high-performance computing, and has designed and built numerous custom workstations for business clients and computer enthusiasts around the world. Mr. Maser is a shareholder of the law firm of McCausland Keen & Buckman, in the practice area of Tax and Business law. He focuses on counseling businesses and individuals in the areas of business and corporate law, and mergers & acquisitions. He is also a Certified Public Accountant. Please contact us to learn how QuantaCool systems can help you safely and efficiently cool your high-powered electronics without the use of pumps or water.